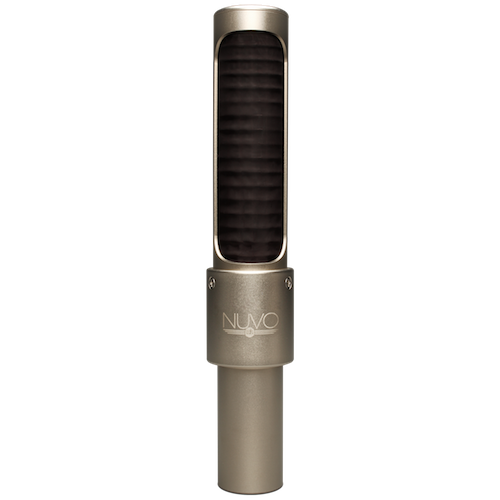 The active NUVO N8 is a modern ribbon mic that records the live, natural sound of instruments within a space as it would sound in-person, with all subtlety and nuance present. It effortlessly captures complex sources like drums, strings, piano, and other instruments that can produce intricate transients, harsh highs, and bellowing lows. From as far away as 20 feet away, the N8 retains the low end frequencies of the sources it captures, and its open, natural tonality makes it perfect to record an entire orchestras or the full low end of a drum kit from overhead. The proximity effect of the N8 is present when recording a source from closer than 12 inches, so this feature can be used to accentuate the low-end of a vocal or string instrument. Potential damage from loud sources is of no concern, even at such a short distance, as the N8 can handle 141+dB SPL at 1 kHz. With active electronics and a custom transformer, the N8 provides 12db of extra output and more preamp flexibility than traditional passive ribbon mics. The N8 uses the same custom transformer utilized in the AEA A440 and R84A microphones, enabling additional output over passive microphones and a stable impedance. Though it sounds great with any AEA ribbon-optimized preamp, it is not dependent on a high-impedance, high-gain preamp for proper use. The extra output is a major advantage when recording quiet sources like vocals and soft acoustic guitars. The active circuitry also prevents noise, interference on long cable runs and when near operating near large lighting rigs. Watch the N8s in action on Zach Harmon’s drumming in this AEA Session. The N8 is the mono version of the AEA R88 stereo microphone with active electronics. Engineers in both the studio and on the scoring stage who use the R88 desired a mono version that was more discreet, lightweight and easier to position. The N8 and R88 share the same minimalist design philosophy and honest sound. A pair of N8s with the NUVO stereo kit can emulate the R88, but a special preamp is not needed since the N8 uses active circuitry. With increased durability and a small profile, it’s no wonder that a wide range of performers use AEA’s NUVO series microphones on the road. The mics are totally rugged and hold up to daily wear and tear. From outdoor gigs at music festivals to indoor theaters, NUVO mics are the perfect companion to bring the sound of studio recordings to the live stage. With the NUVO Windscreen, never worry about the ribbon – even at windy gigs. Bands now using N8s and N22s on the road include Bonnie Raitt, Alicia Keys, Aerosmith, Mitski, Marty Stuart and his Fabulous Superlatives, Alabama Shakes, War On Drugs, Local Natives, The Head and The Heart, Sara Watkins, Kurt Vile, Deerhunter, Jamestown Revival, JOHNNYSWIM, Brandi Carlile, Autolux, Foxygen, Kruger Brothers, Cam, Pedro the Lion, The Districts, Valerie June, Mitski, King Krule, The Head and The Heart, Ought and more. Depth, detail, and bottom end for days. So much focus and tone from one phantom powered ribbon mic. AEA’s NUVO Stereo Kit enables users to rapidly set up and accurately record in stereo on a single mic stand. 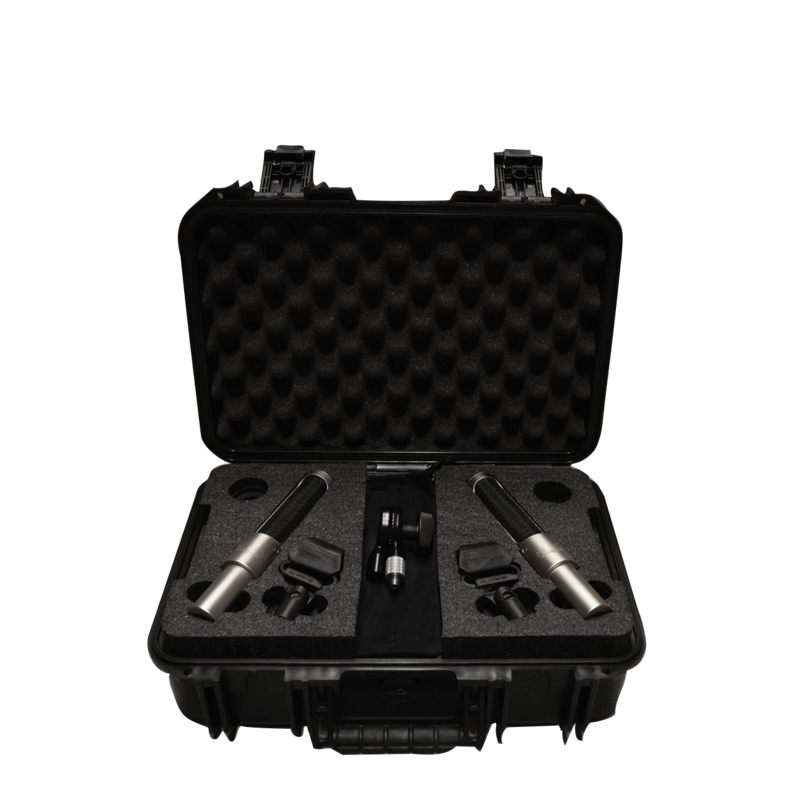 It consists of either two matched N22s or N8s, and comes with all of the accessories necessary to easily configure the figure-eight microphones in Blumlein and near-coincident. Discreet in shape and size, AEA’s NUVO series microphones are lightweight, portable and easy to position. 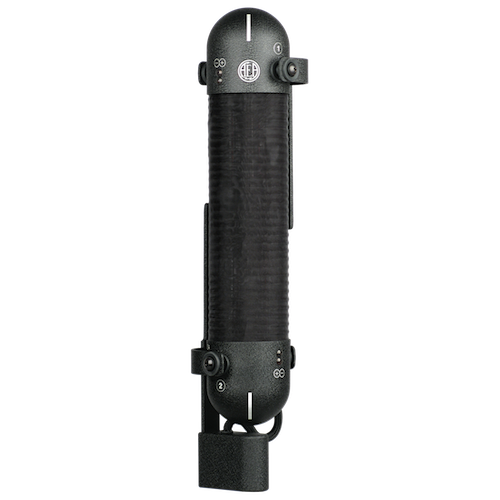 They feature active electronics and custom transformers that provide extra output and more preamp flexibility than traditional passive ribbon mics. Both the N22 and N8 NUVO mics are the same size and offer the same ribbon sound and high-quality components as our other mics. They are all handmade in the United States. For a more balanced sound from up close to capture your instrument without as much room tone, the AEA N22 near-field ribbon mic is a nice complement. N22 vs N8: What’s the Difference?